Black holes are elusive, but not rare. Like nocturnal creatures perfectly camouflaged for night, they are exceedingly difficult to detect. Some come out of hiding by devouring a nearby star or other nearby material, which glows in a superheated whirlpool as it falls past the black hole’s point of no return. Sometimes two black holes twirl ever-closer to each other until a final collision produces gravitational waves, the ripples in spacetime like those recently measured for the first time by the Laser Interferometer Gravitational-wave Observatory. But these are uncommon events. 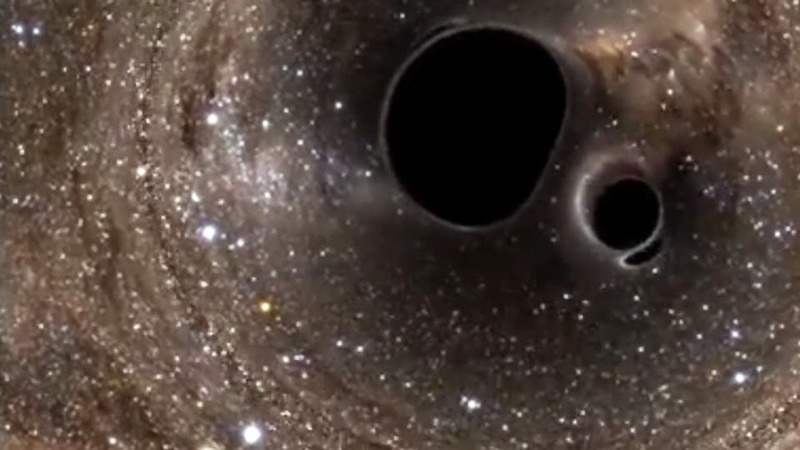 What about the many other black holes believed to be hurtling alone through our galaxy? Without such cataclysms, they remain invisible to us here on Earth, neither emitting nor reflecting light. But they may soon emerge from the shadows thanks to research led by Avery Broderick, Associate Faculty member at Perimeter Institute and the University of Waterloo and colleagues. By combining two standard astrophysical tools in use today, the researchers estimate that within two years they will double the number of known galactic black holes. Within a decade they expect to have accumulated data on enough black holes that they can statistically analyze their properties as a population, allowing them to study stellar mass black holes at various stages that often extend billions of years. Their approach, published this week in The Astrophysical Journal, has implications for the emerging field of gravitational wave astronomy and the way we search for black holes and other dark objects in space. Their technique uses gravitational microlensing, which occurs when a dark object such as a black hole passes between us and another light source, such as a star. The star’s light bends around the object’s gravitational field en route to Earth. Scientists typically use microlensing to survey large sections of the galaxy for planets, waiting for stars to flare like fireflies in the night. But even the largest telescopes that observe microlensing events in visible light have a limited resolution, yielding a single blurred blob from which only the total brightening can be measured, telling astronomers very little about the object that passed by. Instead of using visible light, Broderick and his team propose using radio waves to take multiple snapshots of the microlensing event in real time – essentially creating a movie, which is far richer in information than a simple light curve. “When you look at the same event using a radio telescope – interferometry – you can actually resolve more than one image. That’s what gives us the power to extract all kinds of parameters, like the object’s mass, distance, velocity,” said Karami. With modest improvements, they hope to take advantage of existing radio wave detection networks such as the Very Long Baseline Array. Instead of stars as the background “light” source, they could perform radio microlensing surveys with other radio-bright objects, such as quasars. Broderick and Karami estimate their method will detect about 10 black holes per year, doubling the current number of black hole detections within two years, and unlocking the galactic history of black holes in over a decade.